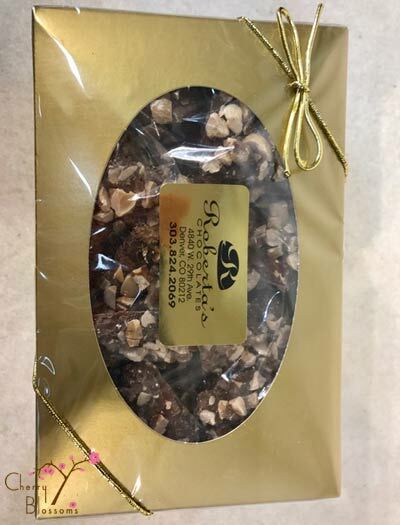 8 ounces of delicious toffee in a gold box. Add a box of delicious toffee to your order. 8 0z box of toffee in a gold box.